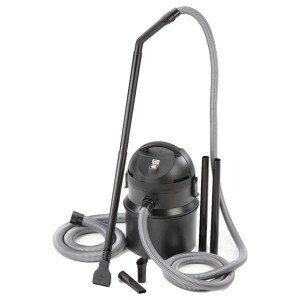 The Pontec Pondomatic is a powerful pond vac with three different suction nozzles included. It is manufactured by top German engineers and scientifically tested for performance. Pond vacs are necessary to keep sludge and waste from giving off harmful gases. The Pondomatic offers maximum power for minimum energy - and saves you money when compared with more expensive models. With this vac, you get the quality you can trust but it won't cost as much as the bigger name brands. The Pondomatic is an effective sludge vacuum with a powerful 1400 watt motor housed in a compact design. It will help you to keep your pond clean of waste caused by fish and vegetation that can cause harmful gases. Pondomatic has a choice of three different suction nozzles - crevice nozzle, algae nozzle and variable universal nozzle (2-10mm) so you can be sure that no debris will escape. It has automatic activation and emptying through intelligent time control. Pondomatic Includes a four metre suction hose and a two metre discharge hose and boasts a 30 litre collection tank. The Pondomatic has a two year guarantee.